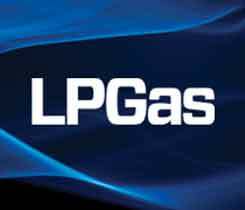 The premium Mont Belvieu propane carried over Conway propane this summer has shrunk considerably this fall. 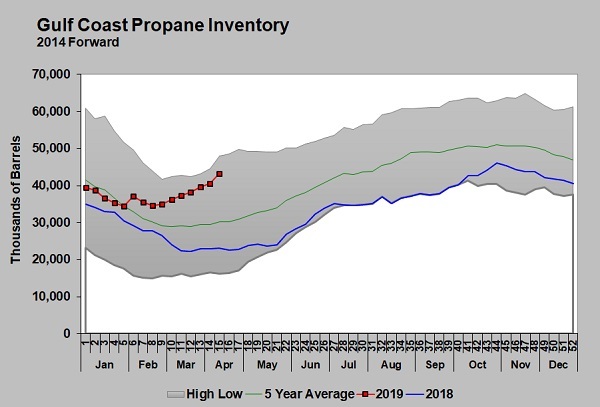 Conway propane was much lower than Mont Belvieu propane last winter. As the price chart above shows, both hubs saw prices increase throughout the summer, but, overall, Mont Belvieu prices outpaced Conway – especially during the months of August and September. 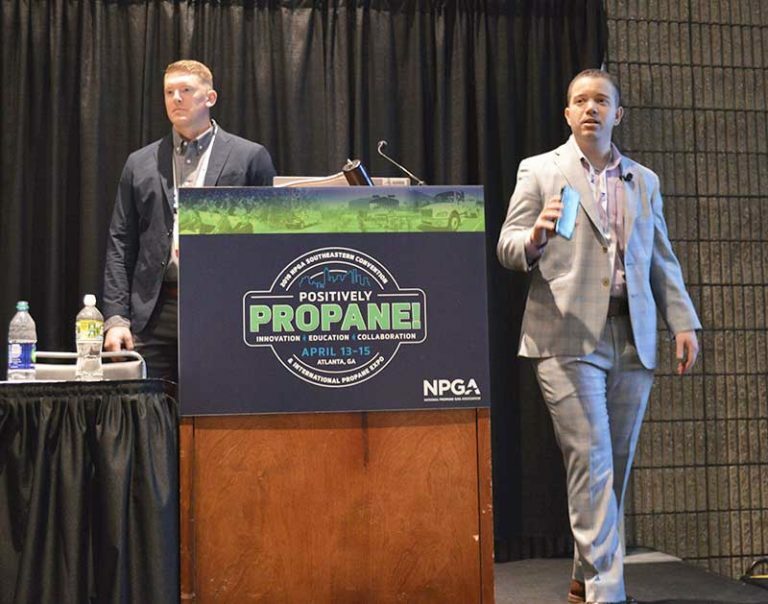 Too much supply in the Midwest prevented Conway propane prices from keeping up with the rise in Mont Belvieu propane prices. Both hubs saw prices plummet after Oct. 1 due to the collapse of crude prices. However, by that time, Conway finally received some demand help from crop drying and winter heating demand. As a result, the extreme gap in prices closed. 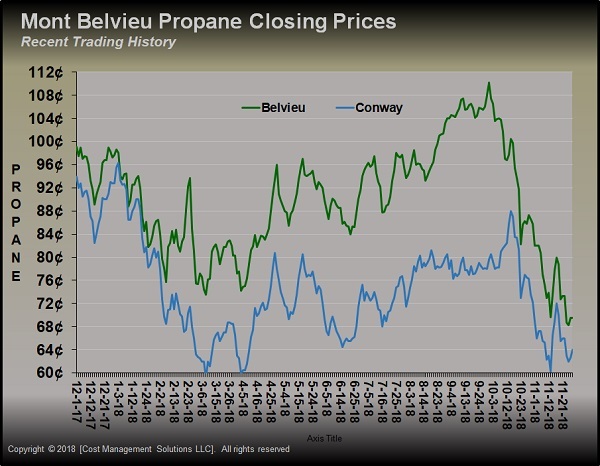 The chart above shows the spread between Mont Belvieu and Conway prices. The spread values above zero indicate Mont Belvieu held the premium. Conway traded at about a 20-cent discount to Mont Belvieu throughout much of the summer. The spread hit its highest point of 30.625 cents on Oct. 1. Currently, the 6- to 8-cent spread is approximately 2 to 4 cents more than what is typical for this time of year. There also seemed to be a correlation between crude and the price spread. The spread was widening when crude was moving up, and was closing when crude was moving down. It appears Mont Belvieu propane moved higher with crude, while Conway did not. 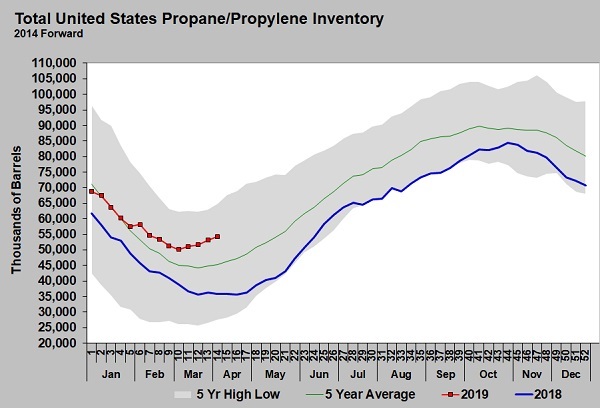 High Midwest propane production prevented Conway prices from fully participating in the summer price rally driven by crude. 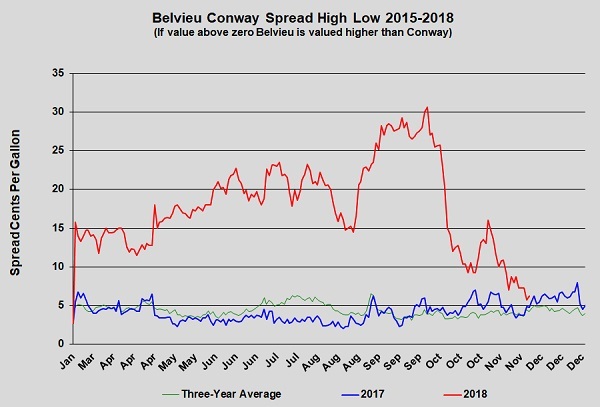 The smallest spread between Mont Belvieu and Conway propane prices this year was .75 cents on Jan. 4, with Conway still lower than Mont Belvieu. In fact, Conway has not traded higher than Mont Belvieu since Dec. 5, 2014. The spread averaged 4.418 cents from 2015-17, and it averaged 4.518 cents last year. This year, it is averaging 16.01 cents. It is very likely the higher-than-normal spread will appear again next summer unless logistical issues moving Midwest oversupply are resolved. Joelle Harms, an Ohio University E.W. 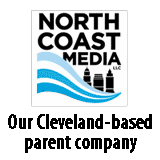 Scripps School of Journalism graduate, creates content for digital properties at North Coast Media, parent company of LP Gas, including e-newsletters, videos, social media accounts and websites. Her specialization in creative writing aids in developing the content voice and message for the company’s online presence.